Base of lilac wood, resin and glass. 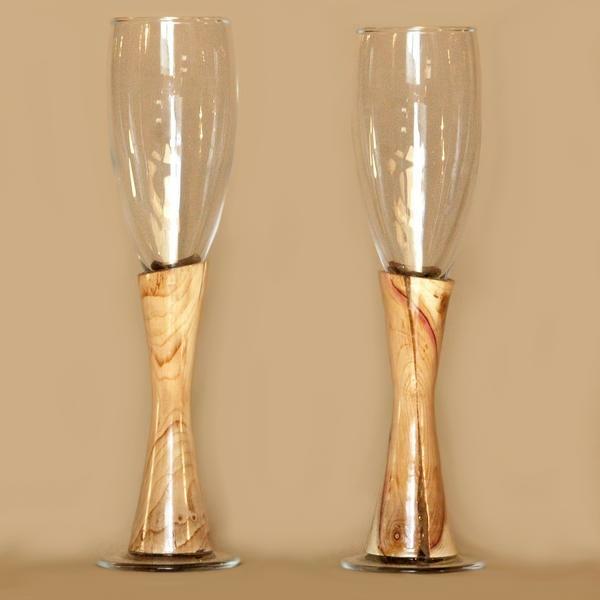 Elegant original handmade wineglasses. Base of bright lilac wood with insertions of transparent resin. The glass&apos; volume is 140 ml. A great decoration. Wonderful as an anniversary gift.